You climb into bed for the night after a long day of physical activity; the last thing you want is a scratchy sheet. You want a nice soft cool sheet, a sheet that won’t leave you clammy when you wake up in the morning, something that properly fits your mattress. Not a sheet that comes off in the corners after a night of sleep. 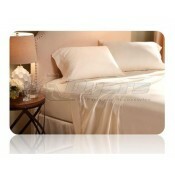 At Dyersonline.com we carry a variety of sheets all of which are made of 100% Egyptian cotton. A lot of manufacturers will try to fool you with high thread counts but in reality they use a low quality fiber. Our sheets are made of very high quality Egyptian cotton. Egyptian cotton is well known for its durability and breathability. It will wick up and absorb any sweat leaving you feeling refreshed when you wake up in the morning. Polyester blend will stain easier, but cotton will wash out clean and not fade after multiple washes. 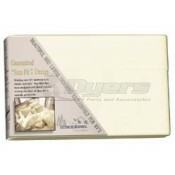 The sheets at dyersonline.com are made specifically for RV use. We a variety of sizes so you are bound to find the right fit. No more waking up and having to put your fitted sheet back on the mattress because it pulled up in the corners. Our sheets have deep pockets that will tightly wrap around your mattress leaving you with a smooth finish. Driving through the humid parts of the country can really teach you a few things about heat. It clarifies the idea that it’s not the temperature but the humidity that gets you. With our 100% Egyptian cotton sheets you will not wake up drenched in sweat. The breathable fabric will keep you cooler and give you a better night of sleep. So rather than waking up feeling dirty you will feel refreshed.